The Original Harlem Globetrotters are known for their amazing feats of basketball, humor, and acts of goodwill on and off the court. And they have always been about the fans, but this year, everything they do will bring fans closer to the action more than ever before! My family and I had the opportunity to join them during their all-new Fan Powered World Tour! We enjoyed the highly-skilled and hilarious antics of Globetrotter favorites Cheese, X-over, Ice, Hammer, Hi-Lite and others, as well as the referees and coaches. Also as part of the absolutely fantastic family show, we counted at least 20 or more occasions before, during and after the game where attendees were given an opportunity to directly interact with the Globetrotters stars! Child and adult fans alike got the chance to engage with the players on the court in front of all the crowd! There were quick ‘skits,’ fan contests for prizes, and even dance-offs where kids flossed with the players and adults performed fun dances of days’ past. The players even shot Harlem Globetrotters souvenir T-shirts into the crowd and my son caught one! We absolutely loved everything about it! It was such a great show! Exciting, thrilling, action-packed – full of fun from beginning to end! It was so funny and entertaining – they were simply brilliant. 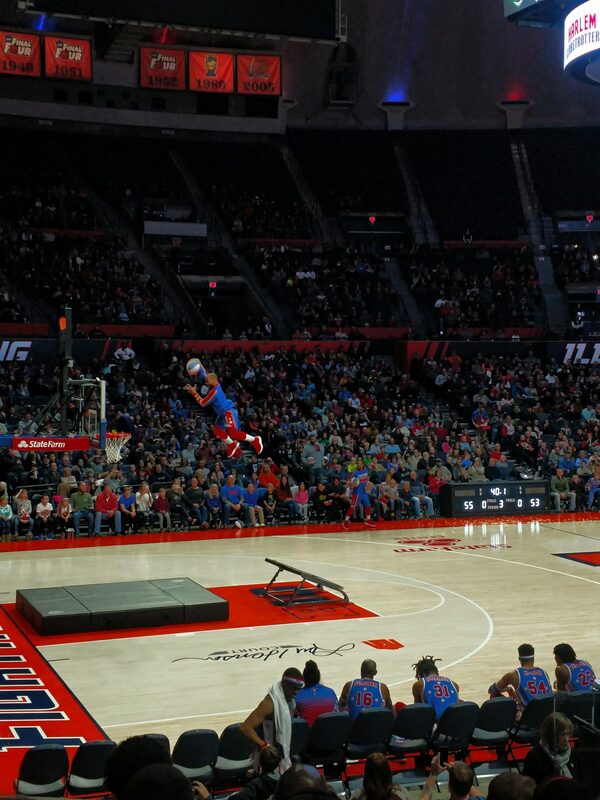 There’s no doubt that The Harlem Globetrotters are the coolest basketball team in history. Year after year, they players are consistent in delivering a show that is both high energy and uplifting. All I can say is they were incredible and me and my family cannot wait to see them again!